Google Instant is talk of the town at the moment. The hype with Google instant is that it gives you a live feed of results as you type your search term. Google Instant is talk of the town at the moment. The hype is that it gives you a live feed of different results upon one single intended search. In other words, Google dynamically changes the results as you type your search term at the same time as it gives you a list of suggested terms to consider. In Europe users need to be logged to their Google account as Google Instant works in conjunction with personalised search. Google Instant is currently a fresh trending topic, so if you actually type ‘Google Instant’ in Google, you will see a cool blend of results that will give you an idea of the kind of excitement that’s going round about it at the moment. I have read plenty of posts on Google Instant, its effects on searches and the various different sceptical or rather more optimistic opinions about how it affects SEO. Some sources are informative with plenty of factual data to look at, other more scientific ones are based on actual testing & analysis, and other posts seem to be putting into perspective the relationship between Google Instant, personalised search and the premise that Google is using user’s personal data to tailor the best results for them. I personally like this post and video, and this other one from Danny Sullivan, both being positive opinions that encourage SEOs to stop worrying about Google Instant and focus on their strategies. Generally speaking, the consensus amongst SEOs seems that Google Instant will bring good new SEO opportunities for some and obviously some challenges for others, and Google Instant will in no way kill SEO. Like with every new change Google makes in either its ranking algorithm or user interface, some benefit from it while others get hit. I think it is much about how prepared an SEO is to adapt to the new environment and move forward with the new trends, invest enough time analysing your stats data, the new serps learn to play with the new toys. Those results have stayed pretty much the same before and after Google Instant even when being logged to my Google account or change IP location in the same town. Like with personalised search, those sites that rank high and attract the most of the CTRs obviously stand much better chance to carry on boasting top positions as they’ll be favoured by users and their frequent click-throughs. I do recognise though that any user with an intent to seek information to say, learn english, may get somehow distracted by the early serps shown before reaching the end of his/her intended keyphrase. That would effectively steal a potential user from my ‘learn english’ rankings, it can happen, but I trust that the user, in the quest, for better results, will eventually find my sites. Until I am able to experience the opposite, I cannot say that SEO is dead or that Google Instant is badly affecting my long tail traffic specifically or my SEO in general. I admit though that I am curious to know whether the other international search engines will followsuit with the same idea. Lastly, just to say that as I found myself listening to a Strike Point podcasts in my way to work, I heard Dave Naylor, as he conversed with Mikkel deMib, make a very valid point about how Instant could affect Adwords advertisers’ interests. He explained how he feared that, with Google Instant, as the SERPs dynamically change throughout a given search term, particularly long tail phrases, Google will generate and actually count a higher number of page impressions. These additional page impressions will negatively affect the clickthrough rate for your ads and ultimately the overall Quality score for your campaign. I tend to agree that there is some risk for publishers there and an opportunity for financial gain by Google. To illustrate the above, let’s imagine that I decided to buy the following three keywords ‘learn’, ‘learn english’ and ‘learn english online’, all three…. 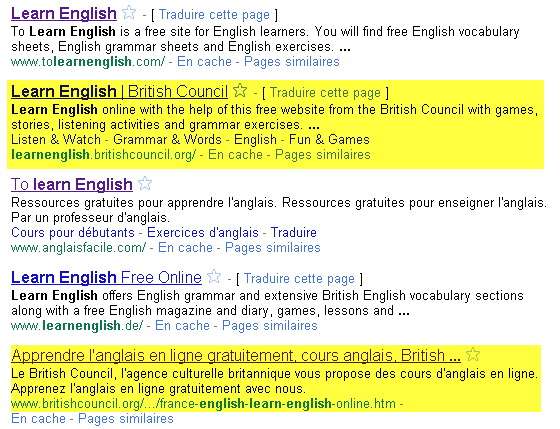 and every day 10 Google Instant users would type ‘learn english online’. 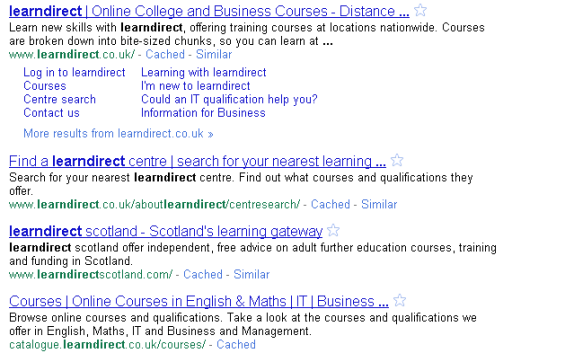 each search would trigger 3 different results on the SERPs where my ads would be shown 3 times! Yet I would have only stand one single chance to gain one single click-through from each of the users. Result: my CTR for that adgroup would suffer and so my quality score… which means more cash into Google’s pocket! so what’s your take on Google Instant? Can you figure out anyways in which it may affect your search marketing? have you noticed any declines in traffic since it went live?